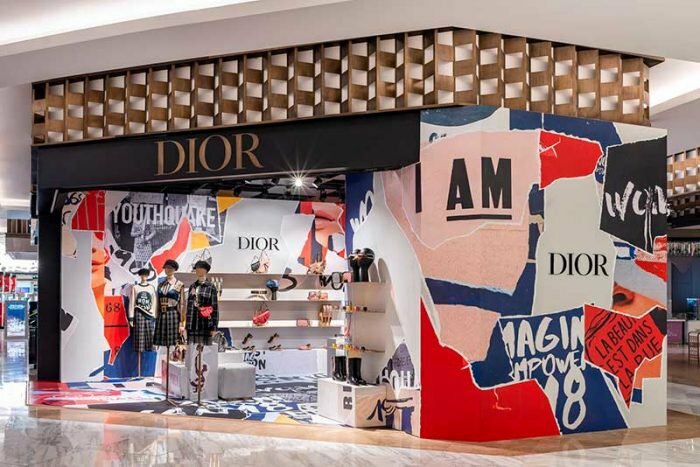 Dior bets on the pop-up store format in Mexico. The emblematic French luxury brand has inaugurated a new ephemeral store dedicated to its new autumn-winter collection 2018 inside El Palacio de Hierro Polanco, in Mexico City. 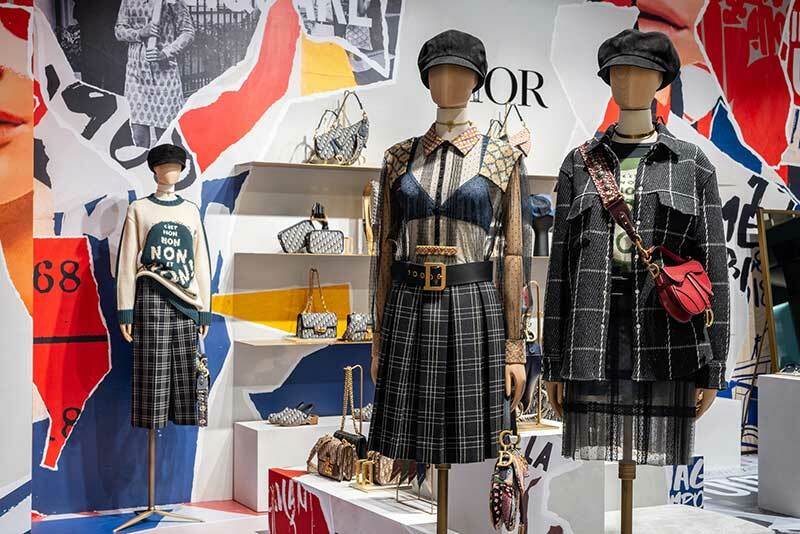 As reported by the luxury department chain, throughout this month of September Dior’s new pop-up store at Palace of Palaces will offer limited edition items from its ready-to-wear collection and accessories such as Diorquake bags, clogs and designs of their Mitzah silk handkerchiefs. 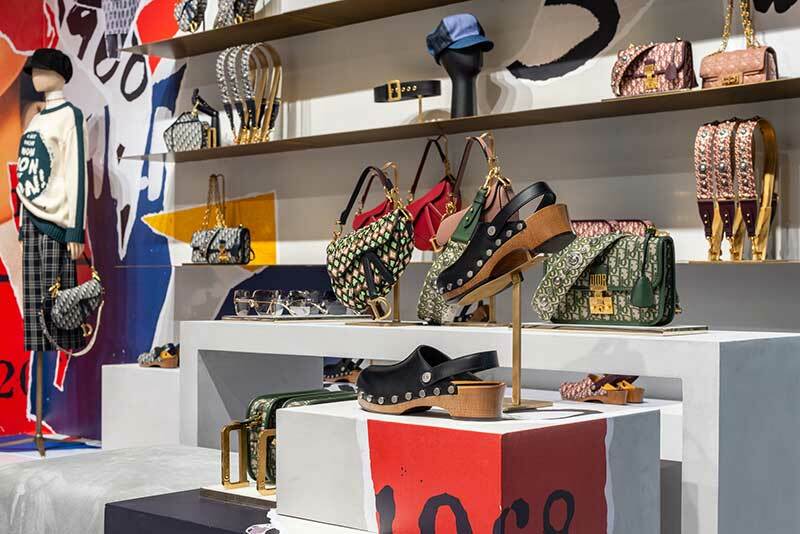 Decorated in the midst of collages of magazine covers and slogans that recall the 1968 protests in Paris, the ephemeral store of the brand has also served to relaunch its iconic Saddle Bag, in an exclusive event between celebrities and fashion figures national. 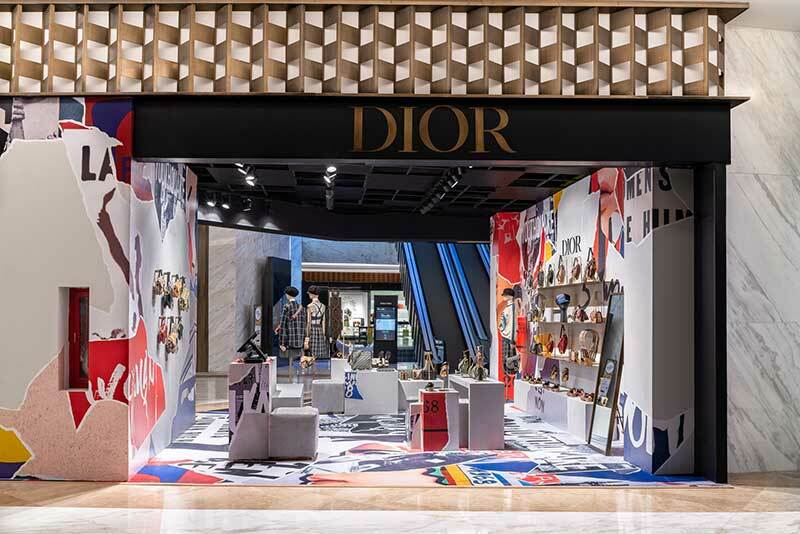 In addition to this new space, which is part of a strategy of the brand to exhibit its most recent collection in major cities worldwide, Dior also prepares for the end of 2018 the opening of its new single brand store in Mexico, in the interior of the Artz Pedregal shopping center. At present, the French maison is present with its ready-to-wear female line in three points of sale in Mexico City (Santa Fe, Perisur and a shop-in-shop in the Iron Palace Polanco), in addition to spaces in department chains where she sells her articles of beauty, personal care and fragrances.